If you’re not familiar with the novel application of blockchain, you’re not alone. The best example you’ve more likely heard of is Bitcoin. In 2017, this blockchain technology took a meteoric rise in valuation from less than $1000 USD in January of 2017 to the high teens in December of the same year, only to crash weeks before the stock exchange did in 2018. Now it fluctuates like a teenager’s emotions. Blockchain is the technology development driving Bitcoin. The client-server internet that is today’s standard uses centralized or decentralized networks for controlling flow. Not unlike most airline operations, this hub and spoke system has been effective in network architecture. 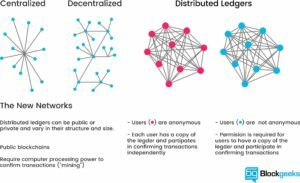 Blockchain’s new capability though is usurping that structure with distributed ledgers. 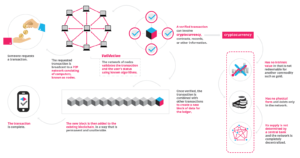 Distributed networks create a unique transactional entity. The ability to have simultaneous copies to participating nodes is not the same as distributing a single copy with centralized and decentralized networks. The difference creates trusted relationships and transactions where the friction of uncertainty (that requires verification) is reduced or eliminated. As discussed in Harvard Business Review’s “The Truth About Blockchain”, Blockchain is not so much a disruptive technology as a foundational shift. Blockchain doesn’t make widgets faster, cheaper, smarter. Blockchain redefines how widgets are made and whether they are even necessary anymore. This foundational paradigm shift comes at the cost of upheaving economic and social structure. Because of those hurdles, HBR thinks it will take the US years or decades to maneuver the change. In that spirit, the US Navy and possibly your organization needs to walk before running with blockchain. This is how HBR sees deployment of technology. The vertical axis is how hard it is to accomplish, from simple application to high complexity. The horizontal axis is how disruptive the concept is to the social and operational norms of the organization. From the tactical to the strategic means beginning with the most simple, relevant, and easy insertions of blockchain and working toward the more complex long term challenges that force cultural exploration and execution. So, let’s start at the bottom left quadrant with simple and work outward on either and then both axes. The first two applications are the two foundations of blockchain – bitcoin and smart contracts. Known as the “killer app” of blockchain, bitcoin has made the news for blockchain with its volatile valuation; however, it’s true value is not so much currency as capability. 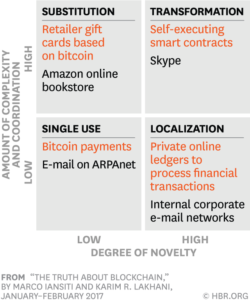 Bitcoin is still in the early adopter phase, with most major markets and major players still tenuously testing the waters. As Bitcoin works its way into mainstream, major financial institutions and multinational NGOs are investing in their own cryptocurrencies. Over 1500 cryptocurrencies exist and 39 have a valuation of over $1 billion, to include Dentacoin at $1.9 b as the “blockchain solution for the global dentistry industry”. The US Navy or your organization can utilize the plethora of cryptocurrencies tailored to a specific transaction. In the beginning stages of using blockchain, these transactions should be single use. This provides damage control from the learning curve. 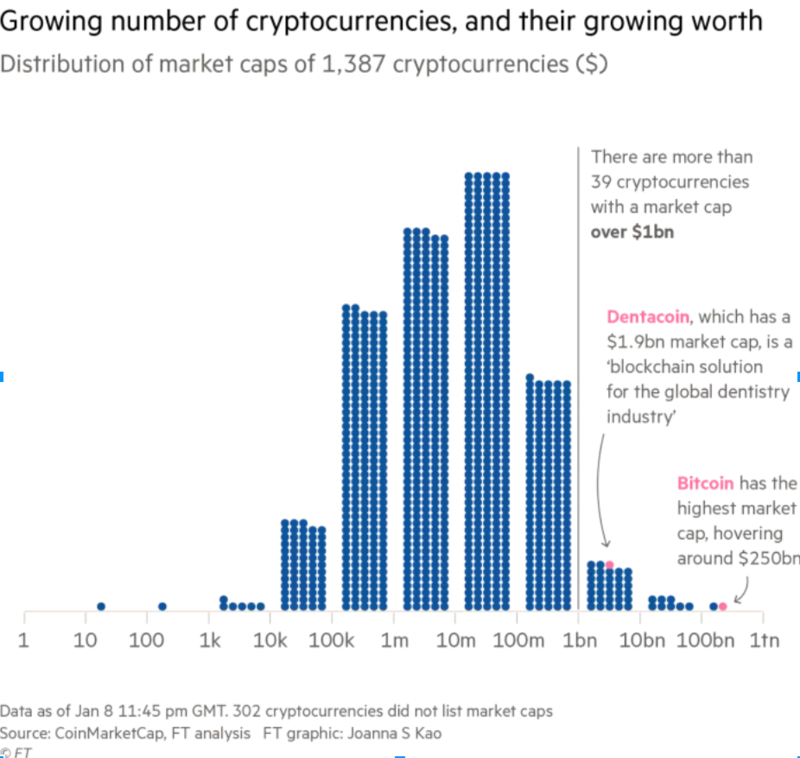 Bitcoin is the most likely candidate because of its prevalence, although other cryptocurrencies may make more sense in context with an industry such a dentistry or interest such as micro-financing in developing countries. What matters with utilizing bitcoin though is the blockchain technology. 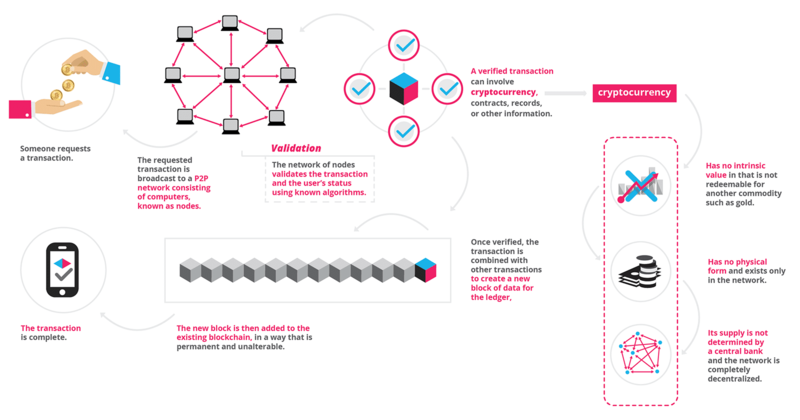 Transactions are validated as they evolve, each adding a block to the chain. 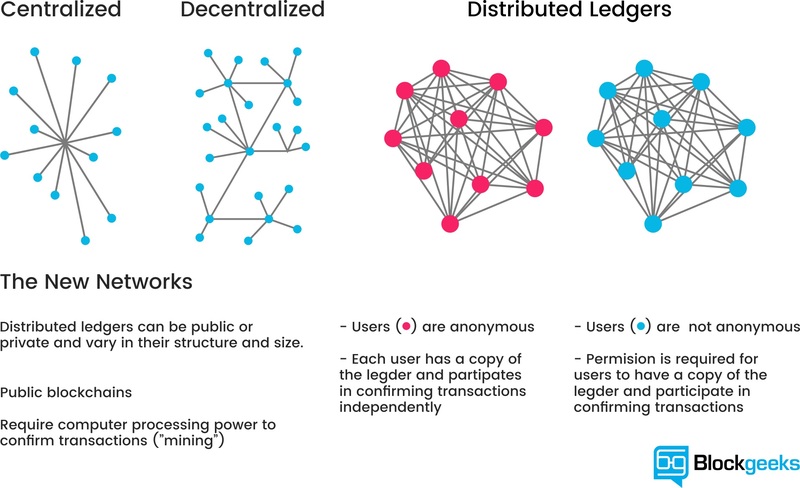 Distributed ledger is a capability that can fulfill multiple federal spending requirements, from old school Federal Acquisition Requirements(FAR) to the nascent Financial Improvement and Audit Readiness (FIAR). Indeed, had the Department of Defense been able to actualize bitcoin for payment sooner, it might have headed off the need for FIAR. Jumping from oil to the engine, smart contracts comprise the structure that facilitate transactions between suppliers and users. Smart contracts are like IF-THEN executions or even more simply, like a vending machine. If you pay a contractually agreed upon amount or fulfill a specified condition, the service or product is immediately executed without verification. The difference from traditional contracts is at least two fold. With blockchain technology, copies of a contract are instantaneously distributed to the ledger participants. The contract cannot be altered without permissions and any changes are added to the ledger to all parties as they occur. Whereas today’s contracts are version control contaminated electronic word documents, smart contracts conceptually are liken to shared Google docs. Anyone who changes the document is tagged and the historical and current editions are logged, via blocks in the chain. 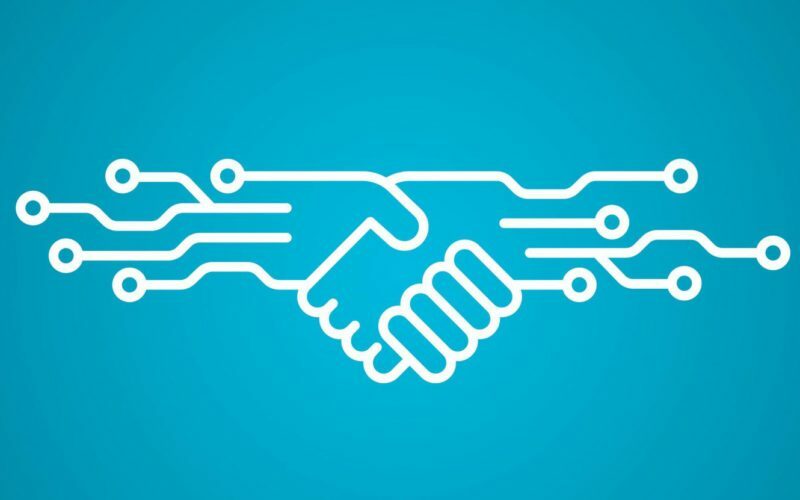 Attorneys are still necessary to construct a smart contract; however, unlike today’s litigious execution, smart contracts can only execute according to the terms. For example, a hotel room won’t unlock unless your credit charge passes. Real estate deeds once recorded cannot be altered, eliminating title insurance. The deeds cannot be lost in fires, floods or downed servers. Trust is inherent (or inherently enforced). Thus it eliminates the “backside” of policing and arguing the merits of the acting parties. This self-executing capability codes in digital quid pro quo, lowering and sometimes eliminating the transactional friction. It doesn’t remove the need for lawyers (unfortunately) but it does significantly reduce interference while eliminating third party verification. Smart contracts are the needed crawl to walk step. It’s the trust thing again. Blockchain is already providing smart contracts for custody chains in the diamond and vintage wine industry. Absolute verification is mandatory for moving high value product through complex production and distribution channels. Blockchain smart contracts smooth over the pinch points of customs and hand changing, providing absolute trust without added verification. Because of this capability to protect high value targets, the Defense Advanced Projects Research Agency (DARPA) has already recommended blockchain for Department of Defense (DoD) nuclear assets.